I urge you to buy a Chromebook; for security’s sake. It’s over 9 years since I posted the first set of articles on the Carrypad blog…which became Origamiportal….which became UMPCPortal. I wanted to relay some thoughts on my personal need for a mobile internet device I called the Carrypad. I wrote about 5-7-inch screen sizes, web browsing, operating systems, GPS and use cases: Bed, sofa, toilet, plane, train and ship. I was, even if I do say so myself, spot-on, especially with the toilet! But I didn’t think enough about security. My first mention of security was when I did a mini review of the Pepperpad 3 in October 2006. …I was able to check for software listening on IP ports. It all looks pretty clean and with the automatic updates, there should be no need to worry too much about security. Low maintenance is always a good thing. Admittedly the threat-level was lower 9 years ago but I should have paid more attention to security over the last 9 years and today there’s absolutely no excuse because the Internet is now a messy place. Braswell now shipping for low-cost fanless laptops, Chromebooks with 2X GPU power. Intel’s Braswell platform, the replacement for the Baytrail-M platform that you see in many Chromebooks and low-cost Windows laptops under the Pentium and Celeron brand, is now shipping to their customers. Intel claims that it will have 2X GPU performance and that 40 designs are in the pipeline. I’m preparing to go to Mobile World Congress where one of my worries will be security and privacy. To that end I’ve hardened my Windows build and written it up below as a checklist of tasks that I urge you to look at and consider, especially if you’re connecting to unknown hotspots. The checklist has evolved from work I did training journalists in Ukraine, work I’ve done here on Windows 8 tablet security and work I’ve done on Clean Computing with Chromebooks which, interestingly, would have a checklist just half as long as this. Points 1-7 don’t apply to a Chromebook. Unfortunately I’ll be needing video editing and gallery management tools in Barcelona so I can’t use a Chromebook as my main PC there. Low-Cost Windows wins for journalists in Ukraine, despite risks. With an annual budget of $100-$200, journalists in Ukraine have a problem with their computing equipment. Each journalist needs a mobile phone and, if they want to work away from the office PC, a laptop. 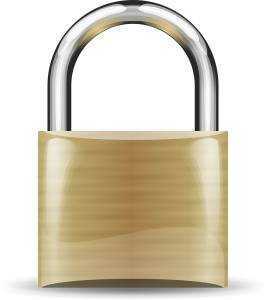 Financial restrictions mean that little attention is given to licensing, security and privacy or quality. Privacy and security risks are huge but some journalists have no perception of this at all. Fortunately it doesn’t take much to improve the level of online literacy with some basic training and organisations like the Deutsche Welle Akademie are able to provide it. I joined DW in Ukraine for two weeks in November to give some training and I learned that the new range of low-cost, lightweight Windows laptops are going to help these journalists a lot, despite Chromebooks being better for privacy and security in some situations. Chromebook, Report Comments Off on Low-Cost Windows wins for journalists in Ukraine, despite risks. After a weekend of testing the new $200 Acer E11 Windows laptop (first impressions and video here) I’ve completed my first-take on the subject of Chromebooks vs modern netbooks. Windows netbooks, or at least the new-wave of netbooks, remain the more flexible option but they don’t ‘kill’ Chromebooks. The Chromebook’s efficient, secure and manageable nature has massive appeal to the education and small-business market and Windows remains too heavyweight and too expensive / time-consuming for a ‘low-cost’ solution. It’s in the consumer space though that Windows continues to have the lead despite being an old and bulky OS. Call it the Minecraft-Skype effect or just attribute it to familiarity; Windows remains the go-to choice. The problem is that Chromebooks are getting better every day and prices are dropping quickly. Entry-level for a spritely 7-hour Chromebook is just $179. (Acer CB3-111 at Amazon .) It’s great for consumers but not so good for Microsoft who need to respond quickly. Given their opportunity to improve Windows for the next version in mid 2015, what is needed to make sure that next-generation Windows stay ahead of Chromebooks for consumers? Here’s a list of issues that need to be solved, and a simple solution I’m calling a Windows Surface Laptop. This, my lightbook-loving friends, is going to be a big seller in Q4 of 2014. The Toshiba CB35-B3340 is a 13.3-inch laptop with a full-HD screen, SSD, Skull Candy speakers, a 51 Wh battery and it weighs just 3 pounds – 1.36KG. The price? $330. It’s a nice product for entry-level consumers but it’s a problem for Microsoft. The Toshiba CB35-B3340 is a Chromebook and Chromebooks based on a Baytrail-M SoC with just 16GB of SSD are cheap to produce but this one from Toshiba is well-designed, has a good keyboard and is the best I saw over the last month of touring IFA and IDF events. Skull Candy speakers hint at a consumer-focus and not classroom-focus but Toshiba hasn’t cut corners on battery life or ports. 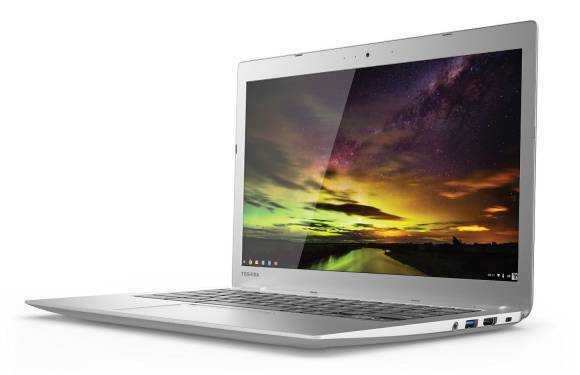 This Chromebook will give you 9 hours of usage, say Toshiba. I understand it has a 51Wh battery inside so I don’t doubt that. In fact, i’d expect over 10 hours of offline video viewing. The question is, why can’t this be a Windows laptop? 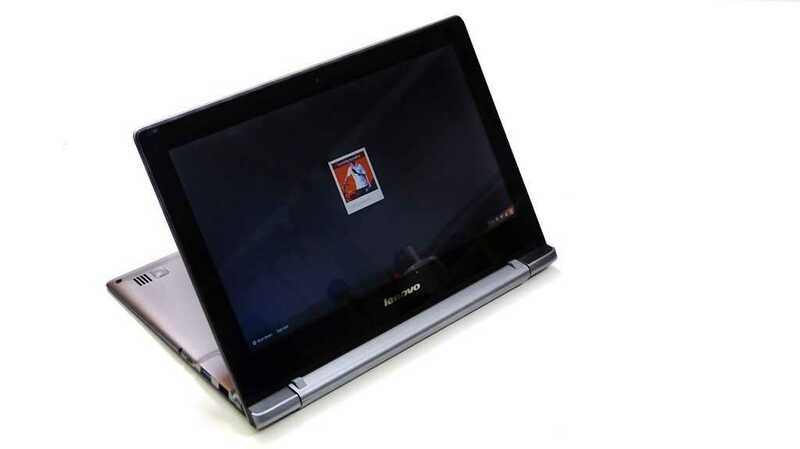 Well, Toshiba have a similar product in the CL-10B (video) but at 11.6-inch it’s not the same. 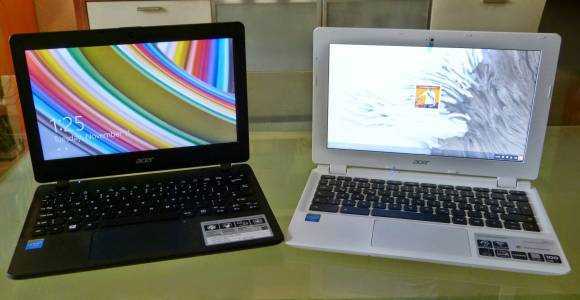 The reason could be that a lot of similar-sounding products in the Windows laptop market are selling for $700 or more. Given that a Windows with Bing license costs nothing I can’t see any reason that this can’t be a Windows laptop other than product separation. That could be an issue for Microsoft because Chromebooks just took 18% of the sub $300 laptop category. 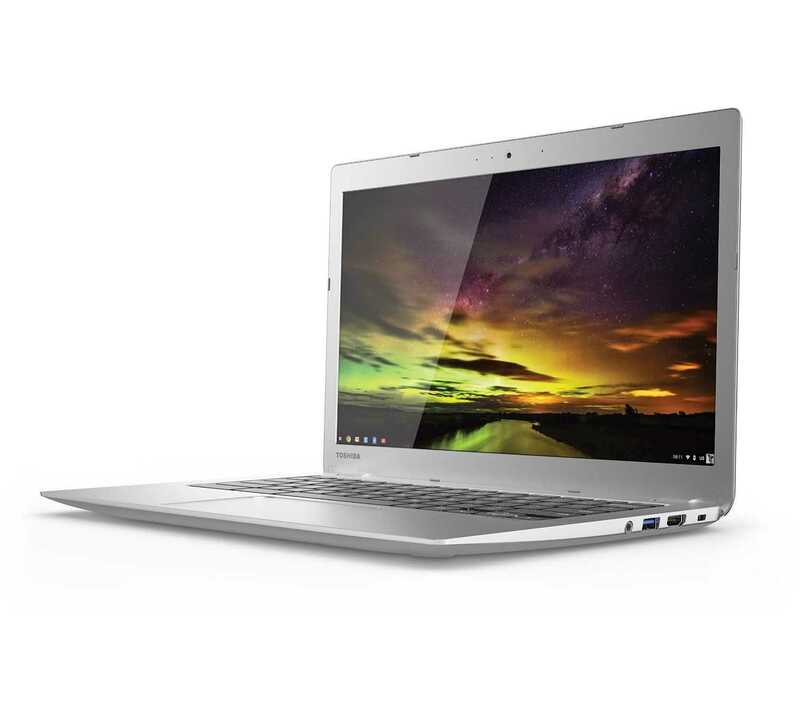 In the $300-$400 space this Chromebook is a bargain. Windows 8 tablets are racing to the bottom in price and specs, Ultrabooks are fading away and cheap Windows laptops have positioning to contend with. The 2-in-1 segment will get a boost from Core M soon but it won’t take effect until 2015. With no word on Cherry Trail products, it looks like it will be a very very tough quarter for Microsoft. Every August I get myself organized for IFA and IDF, the two most enjoyable and informative events on my circuit. CES in Las Vegas is fun but there are more relevant products and information for me at IFA and IDF, the Intel Developer Forum. This years tour is 14 days long so once again I need reliable kit. In 2013 I took an Ultrabook, a 270-degree rotating touchscreen netbook-style laptop and two Nokia phones along with my bridge camera. This year I’ve got the same line-up but with three different computing devices. 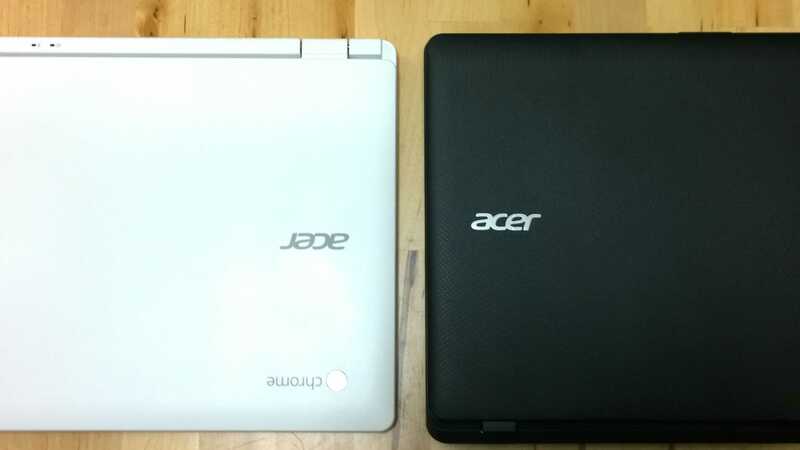 I’ve dropped my Acer W510 and replaced it with, no, not the Acer Switch 10, but a Chromebook. The two Nokia phones are also different. The Chromebook I’ve chosen (I bought it, it’s not a loaner) is the Lenovo N20p shown above and I chose it because since I reviewed the Lenovo Flex 10 I’ve been a huge fan of 270-degree fold-back screens. It permits lay-flat mode (ever used that in bed or to raise the screen up in a seat-back scenario? If not, you should) and the really useful, casual and coffee-table friendly tablet-stand mode. 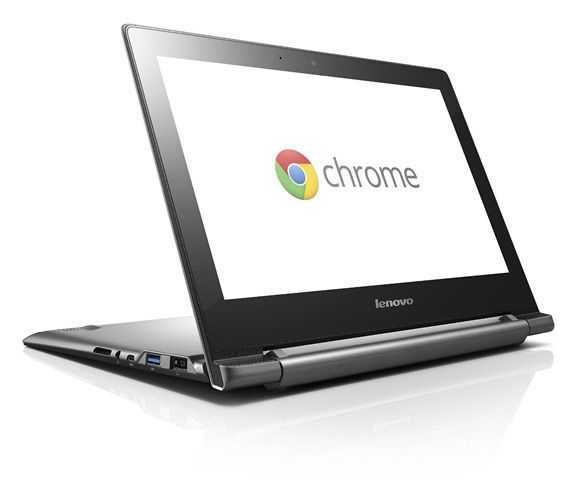 The Lenovo N20p Chromebook won’t be with me during the working day but it will be my travel companion. Films (most carried on the MyDigitalSSD PocketVault USB3.0 SSD drive) and consumption of RSS/Magazines/podcasts should be the main scenarios (the latter will be an interesting challenge for a cloud device while in the air) but I also expect to use offline Google Drive to write the occasional blog post. I expect the N20p to be my consumption device in the evenings while the Ultrabook crunches videos and images. With 7-8 hours (measured) of video battery life and an estimated 6 hours of casual web browsing the Lenovo N20p is likely to be well-used over the next 14 days. Moving on to the smartphones I’ve got the Nokia Lumia 1020 (bought very recently) with the Xenon flash and 42MP sensor. I expect to be able to get some good low-light photos and some quick videos. It’s got all the maps on it, my music, podcasts, RSS feeds and of course, Twitter, Skype, Facebook and Whatsapp for messaging. In the background will be a Nokia 808 running 2G with no data connection a multi-SIM card (same phone number as on the 1020) It’s simply my back-up phone (it will last over 7 days without charge in this scenario) and backup camera if everything else goes wrong. Talking of cameras I’m still using the Panasonic Lumix FZ150. I didn’t upgrade to the FZ200 but having read some reviews on the FZ1000 I’m close to buying something new in the telephoto camera/video department. Why a bridge camera? It’s light and it’s good enough for online photography and video in almost any light. I’ll stress that again – I’m creating news content for online usage, not creating 4K documentaries. The usual paraphernalia will go with me. A USB power pack, Bluetooth headphones, cables and cards and as with last years tour (mobile reporting kit 12) it won’t be a lightweight kit. Perhaps the Lumia 1020 and the Ultrabook would be enough on their own but for a 14-day tour that would be too risky. There’s one thing I want to highlight about my year-old Haswell-based Ultrabook. The battery isn’t as strong as it was and although I’m still getting 6+ hours out of it, it’s going to be a risk if I don’t take the power adaptor. Remember this, if you’re thinking about an all-day PC, it might not be ‘all-day’ a year later. Stay tuned for IFA and IDF reporting across the UMPCPortal, Ultrabooknews and my new site, Chromebookworld. The lightest off-grid reporting kit of 2014. Here’s a kit I’ve been having fun with this summer. 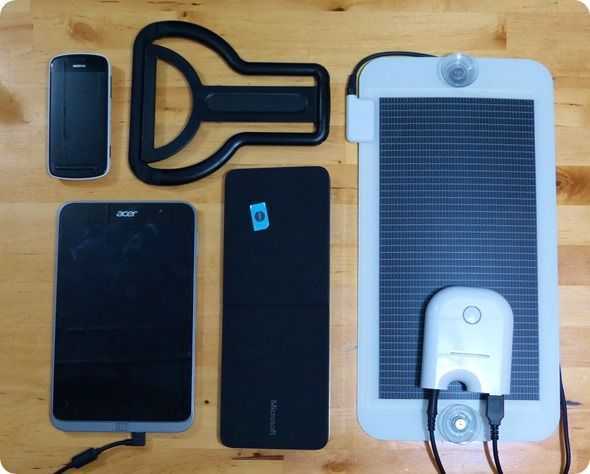 I’ve dropped the Nokia 808 for the Lumia 1020 (I didn’t have the 1020 until recently) but that Acer W4 (3G version) with the Microsoft Wedge keyboard and Changers solar panel and storage is about as light, as capable and as efficient as it gets right now. If you’re thinking about an ultra-mobile and ultra-light kit this weighs just 1.4KG (ignore the additional stand as it’s included in the Wedge keyboard cover. History of Chippy’s Mobile Reporting Kits. V12 (Sept 2013) is here. V11 (Jan 2012) is here. V10 (August 2011) is here. 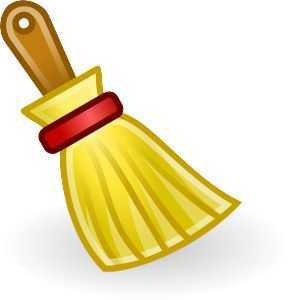 V9 (Nov 2010) is here. V8 (May 2010) is here. V7 (Feb 2010) is here. V6 (Jun 2009) is here. V5 (March 2009) is here. V4 (Sept 2009) is here. V3 (Feb 2008) is here. V1 (March 2007) is here. Chromebook, Report Comments Off on Mobile Reporting Kit #13. 14-day tour includes a Chromebook. After increasing my coverage on the interesting Chromebook sector recently I didn’t feel happy with it in the UMPCPortal timeline. You’ll now find my Chromebook coverage at Chromebookworld.com. We’ve added all the details of all the Chromebooks to our database and we’re preparing ourselves for the new wave. Chromebooks are improving by the day with new features, impressively efficient processors and improving prices and because of that we’re expecting huge growth. We’ve been tracking Chromebooks on our sister site, UMPCPortal, for a while but now is the time to bring that information to a new website dedicated to Chromebooks. Chromebookworld will focus on product information and will bring you informative articles and videos that will help you make your decision or enhance your experience. We’re on Twitter. We’re on Facebook. Join us to track Chromebook information. We’re looking forward to answering your questions. Microsoft and Google are now head to head in the $250 laptop market and it’s going to be one big fight. Chromebooks and the Google ecosystem vs low-cost Windows laptops and the Microsoft ecosystem. I have my opinion on which option is better (tip: there’s no best laptop, just a best laptop for you) and many of you have solid opinions too but what do Microsoft say? On their Windows 8 Chromebook comparison page Microsoft have listed 10 points that should be considered before choosing between the two. Interestingly, and so, so obviously, Microsoft have omitted the discussion on security. What they do mention is: Applications, desktop, printers, DRM content, peripherals, document locations. You’ll notice that there are only 6 points there. That’s because Microsoft want to tell you that there are three types of applications to consider. Office (and other Windows programs,) Skype (and other Windows programs) and PC games (which are Windows programs.) Two more bullet points cover Web and Web apps for which the Chromebook is also given credit. The elephant in Microsoft’s room is the important area of security. I’m very impressed with the security features available on Windows 8 but it’s not easy to make sure you have these features in your laptop or even to configure them when you have them. Chromebooks have the huge advantage that they don’t assume that the user is going to proactively act to improve security. “We update transparently and try to provide safe defaults without asking users to make security decisions” [src.] Cheap Windows 8 tablets do a good job if you use a Microsoft account (disk encryption, login tracking, secure boot, sandboxed apps in RT mode) but more needs to be done for the laptops which don’t have some of these features. Windows desktop remains a huge risk area too. One other point I would argue, and Microsoft should bring this forward, is the fun aspect of using a touchscreen Windows device in RT mode. Chromebooks are as boring as Windows 7 laptops were and that’s not going to attract consumers in the sub $300 bracket. Devices like the Lenovo N20p might change that but only if Chrome OS evolves to offer better touch features and a richer choice of entertainment. As you might have noticed I’m increasing my coverage of Chromebooks as simple, portable, secure PCs. I predict they will sell well as they improve over the next few years, they will drive a significant improvement in security across low-cost PC products, they will drive down prices of small Windows PCs and you’ll see some movement of Chromebooks into the ultra-mobile space very soon. I look forward to the first sub-1KG product. We’re tracking the lighter Chromebooks in our database.